JANET L. SMITH, founder of NORTHWEST ELDER LAW GROUP PLLC, is an attorney providing services in elder law, estate planning, estate administration, guardianship, and elder mediation. She has been an attorney in good standing, licensed in the State of Washington, since 1983. She received her law degree from the University Of Washington School Of Law in 1983, and received a Certificate in Gerontology from the University of Washington in 2000. She completed the Professional Mediation Skills Training Program through the University Of Washington School Of Law in 2008. 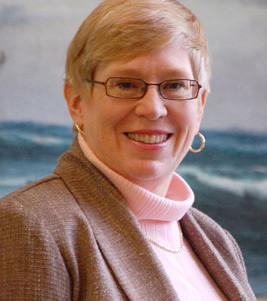 In 1997, she was a founder of Elder Care Solutions, Inc., providing geriatric care management, consulting, and certified professional guardian­ship services through 2005, during which time she was a member of the National Association of Professional Geriatric Care Managers, serving on their Western Chapter Board. She has been appointed as a Guardian ad Litem numerous times in both King and Snohomish Counties, and has served as a trained facilitator for an Alzheimer’s disease caregivers’ support group. She is a member of the National Academy of Elder Law Attorneys (NAELA) and the Washington Chapter of NAELA, the Washington State Bar Association Elder Law Section, the Washington State Bar Association Alternative Dispute Resolution Section, the King County Bar Association Guardianship and Elder Law Section. She is a frequent speaker on elder law topics. Janet can be be reached at http://nwelderlaw.com/.